Kevin Lule has completed beautiful painting projects in the Fairfield County area for 30 years. The name Kevin Lule is known for quality craftsmanship and incredible customer satisfaction. I hired Kevin to refinish my window sills, and he did a great job. He explained that a few of my doors needed to be painted as well, and painted them at no additional charge. He even took the time to make sure I was completely happy with everything when he was finished. Just a terrific experience and value. Kevin did a great job painting our porch and front door, as well as doing touch ups throughout our house. He is a genuine, nice guy and offered a very fair price for the project. 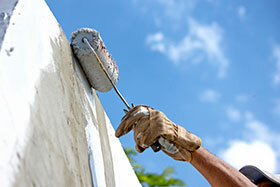 He is clearly a very experienced and talented painter and worked hard to get the job done perfectly. We really liked Kevin and will definitely recommend him to our friends! Kevin and Ricky transformed a house that was greatly in need to an attractive home. They used Shawn Williams best paints and varnishes. A power blower was used on the property daily and they conducted themselves in a professional way. What stood out, was their attention to detail and the pride that they took in their work. They were reliable, punctual and pleasant to work with.I recommend them highly. I was very pleased with the experience. 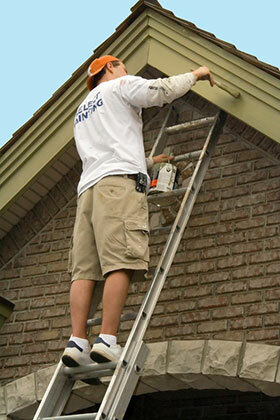 Kevin responded quickly, provided a good estimate for the job right away. As for the work, it was excellent. The job completed on time and the work and cleanup was very good, including some required carpentry repair, prep and paint siding and trim. Highly recommended. Kevin Lule was quite professional and worked along with his helper Mario, both of whom were extremely neat. They finished the painting of all of my house trim and roof overhangs in about 2-1/2 days, despite the interruption of several rainy days, using high quality paint. Included also were a complete whole house power washing, wooden staircase as well as front stoop and family room lattice work painting, and complete cleaning of gutters. I am extremely satisfied and would certainly recommend his services to others. Kevin and his assistant Ranado were always on time, he gave us a quote and in the end stuck to his word on the quote. The work was done on a level far exceeding our expectations. He even added in some extras in the hopes that it would help with the sale of our home. He was friendly and a pleasure to work with. Overall, he was very knowledgable about the products and only used the finest brands. We will recommend him to all.